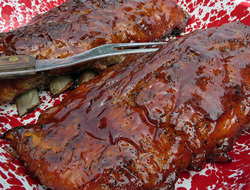 Delicious spare ribs basted with a sweet and tasty barbecue sauce. These ribs can be baked and finished on the grill for extra flavor. These ribs are perfect for a summer get-together of family and friends. 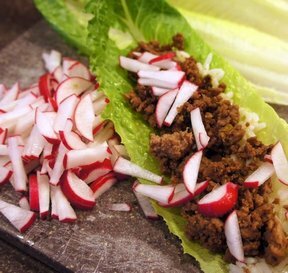 This quick meal has everything you need all wrapped into a tasty little package. Try it with chicken or shrimp instead of sausage if you prefer. 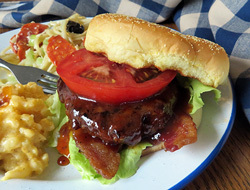 The great flavor of these burgers comes from the delicious homemade barbecue sauce that is added to the burgers. After trying these burgers, plain old burgers just won't do anymore. 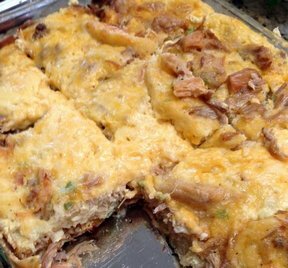 This egg bake is not only a breakfast casserole but is also great for dinner. With its Mexican flair, it is fun to add some Mexican side dishes. 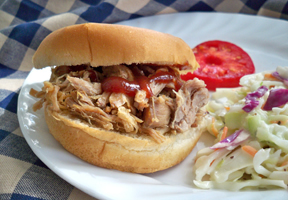 Use your leftover pulled pork from Day 2's Easy Slow Cooker Pulled Pork. 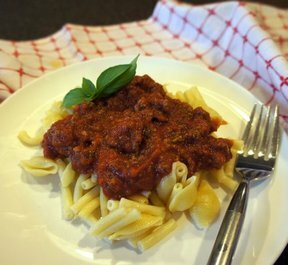 A quick and simple homemade spaghetti sauce that is so delicious you'll never think that it's also good for you. The flavor of the garlic and fresh basil really make the difference. These skewers are worth the work of making each one. Have the kids create their own masterpiece to lighten the load. 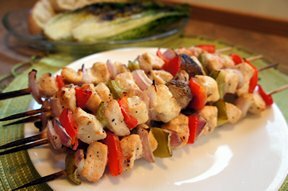 The vegetables add great flavor to the meat and you get your vegetables and protein together on one stick.